The free Husker Nation Pavilion, located at the northeast corner of Memorial Stadium, is a great opportunity for families to stretch their legs with fun activities before the game. The Tradition Lobby and The Nebraska Experience at the Osborne Athletic Complex is open for viewing four hours before kickoff. Note the Nebraska Athletics Bag policy. Alcoholic beverages, tobacco products, controlled substances, bags that don't meet the bag policy, coolers, chairbacks, noise makers, glass bottles, cans, video cameras, banners/flags on poles and open umbrellas. Consideration of other spectators is expected. 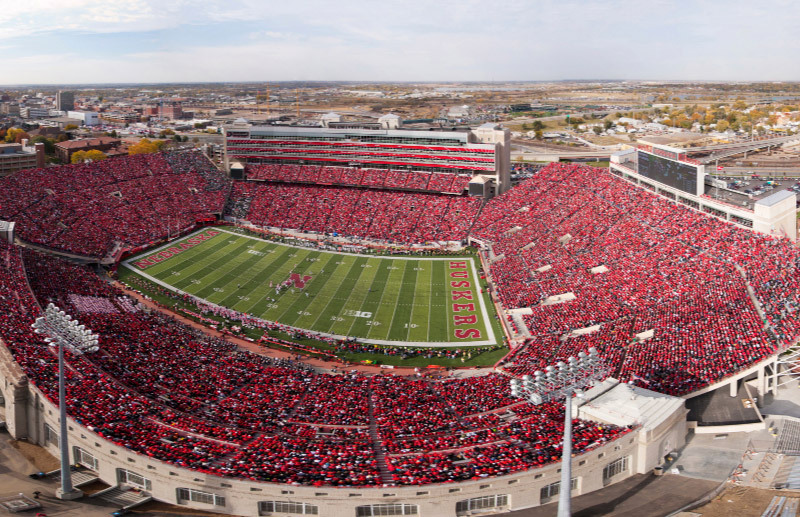 With the passage of the concealed weapons law in the state of Nebraska, fans are reminded that concealed weapons are not allowed on the UNL campus and are prohibited at all collegiate sporting events. At the discretion of game management, other items are subject to being prohibited. 69050, keyword UNLPD - in case of emergencies or to report a disturbance in the your area.